Utah’s Jordan River meanders northward for 50 miles from Utah Lake to the Great Sale Lake. 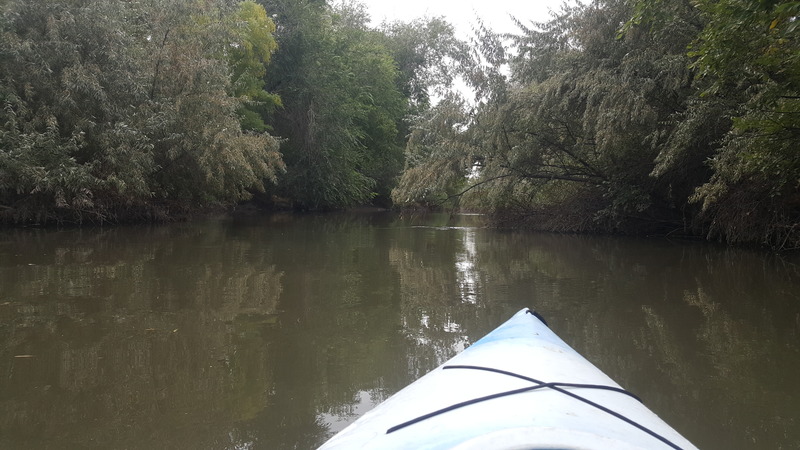 I have enjoyed kayaking sections of the river with family recently, finding it a beautiful, peaceful, contemplative place, though a challenge to paddle upstream in spots. I have also enjoyed riding the riverside trail on my bicycle. I wrote this poem after my third paddle during which I grieved over the recent death of my nephew. The glassy, calm water, the Great Blue Heron and Belted Kingfisher, the signs of fresh beaver chew, the tree branches arching over the water, all served to sooth my mind a bit. Water has a way of doing that. Enjoy. This entry was posted in Beauty, Birds, Memoir, Nature, Poetry and tagged Jordan River, Mourning, Poem on October 14, 2018 by Roger Baker-Utah. Thanks for this beautiful journey, Roger. I love (or used to) kayaking! Thanks Patsy. After kayaking for three hours, my shoulders remind me my kayaking days are numbered! The river is always a beautiful place to be.